I’m working on another book for Guideposts in the Patchwork Mysteries series, book 27. Not sure what the title is yet, but it’s a WEDDING!!!! I love writing weddings!!!! If you think of it, please say a prayer I can finish it quickly! It’s not due until the end of August, but I have another book due around the same time so I’m trying to finish this one early so I can work on the other book. Thanks! Yikes! I'll definitely be praying! 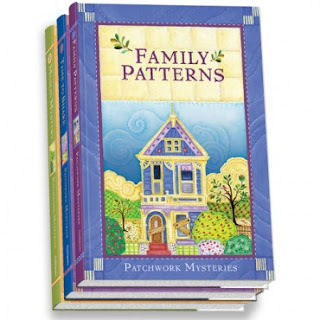 I can't wait for the next patchwork mystery! These are my favorite books in the whole world! These books minister to me. I pray you are able to finish it quickly. I'm so glad you like the series, Christine! I enjoyed writing them! If book 27 is out what is the name of it? I would like to start looking for it. I'm dying to have it! I've been getting them off eBay. Is there a easier way to get them? I've been paying about 25 dollars for them. Is there a cheaper way to get them? I can get it straight from you? Thank you so much for writing back! There is a book club for patchwork mysteries?? Thanks for sharing the title of the book!